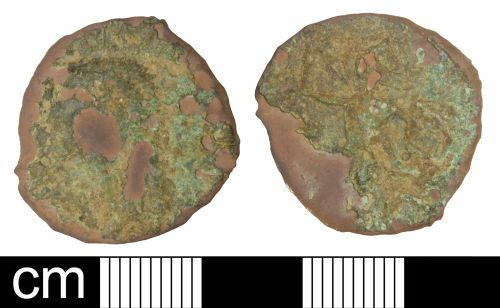 A Roman copper-alloy contemporary copy of an as of Claudius dating to the period c. AD 43-60 (Reece period 2). Minerva reverse. Copying Rome mint. cf. RIC. I Claudius 100/116; Boon 27ff. The coin's flan has been bent upwards at one point.